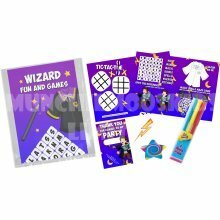 The fun doesn't have to end with the party with this Children's Pre-Filled Ninja Party Bag, that's a sure-fire way to please party guests and their parents! 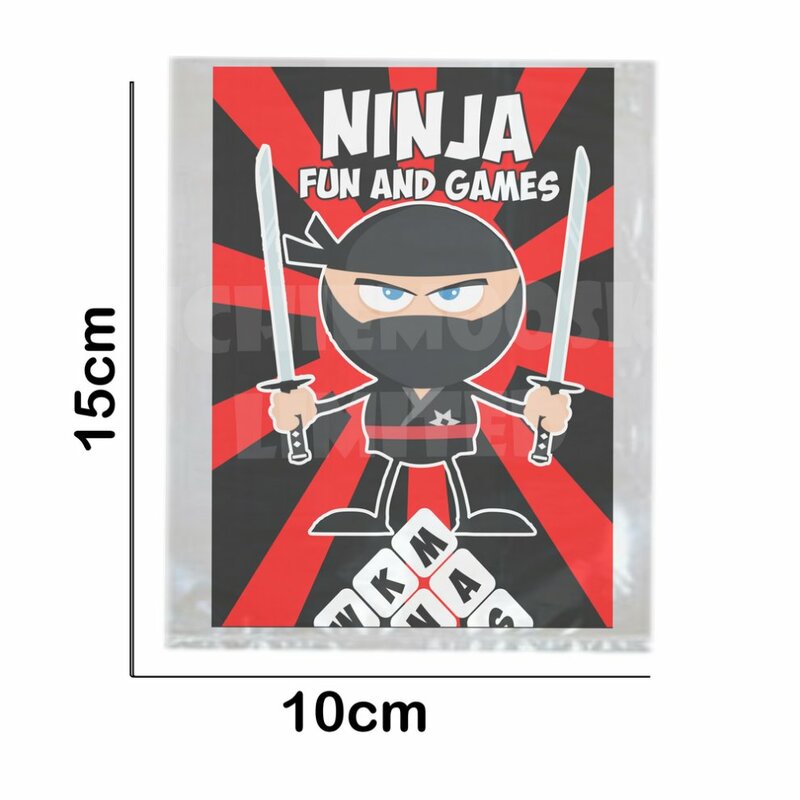 Each plastic gift bag contains a grand total of 5 items ninja-themed items that offer all sorts of entertainment. 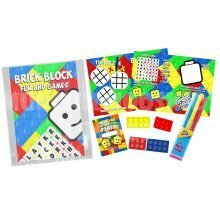 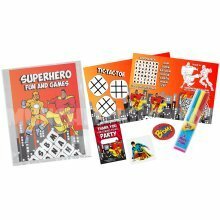 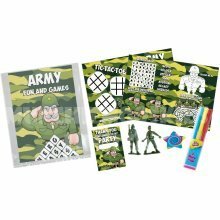 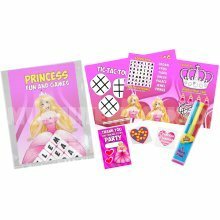 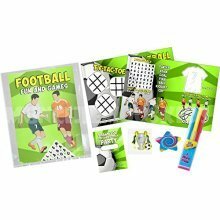 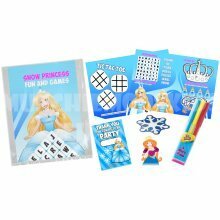 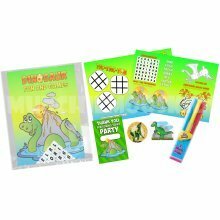 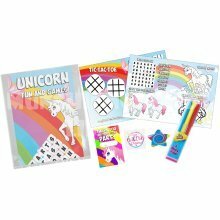 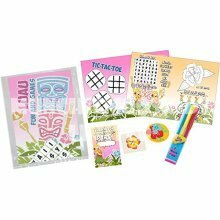 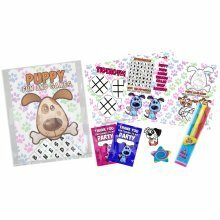 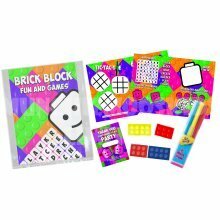 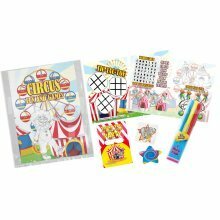 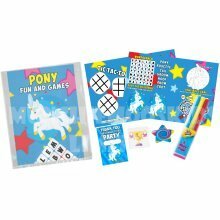 You'll find an A5 activity sheet with 5 different games (and an accompanying pack of pens! 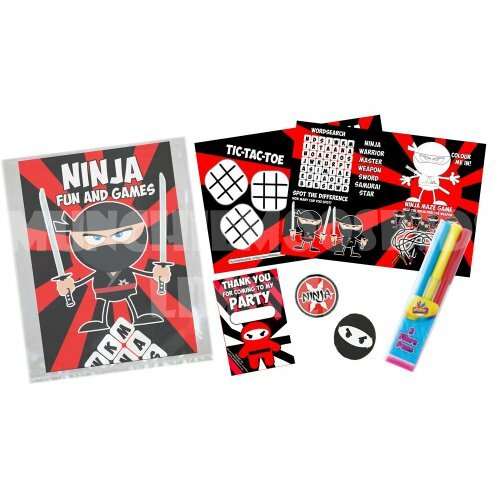 ), a temporary tattoo, a sticker and a special thank you card, all of which are themed around everyone's favourite sneaky warriors. 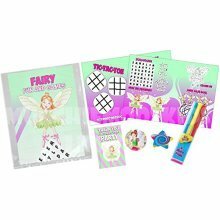 Please note: Not recommended for little ones under 3 years, as the bag contains small parts. 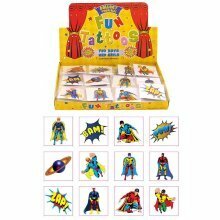 Comes with crayons, stickers, tattoos - to name a few! 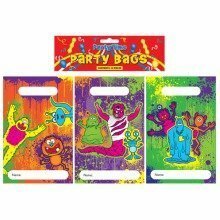 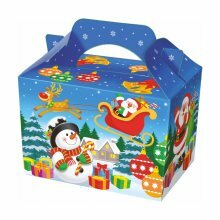 Fabulous party favours - sorted! 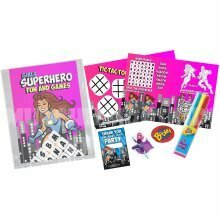 Keeps the fun going long after the party has ended!